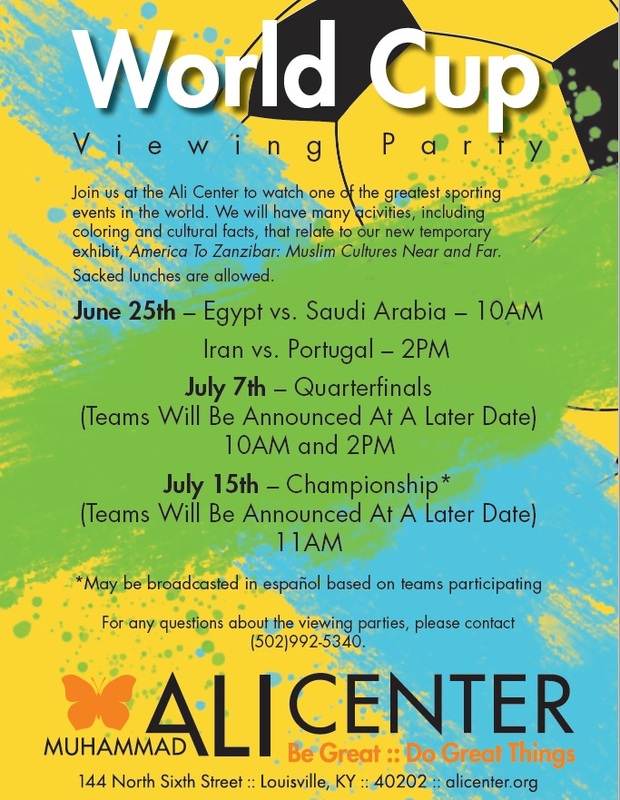 Come celebrate the World Cup with your friends and family for a FREE viewing party this summer. 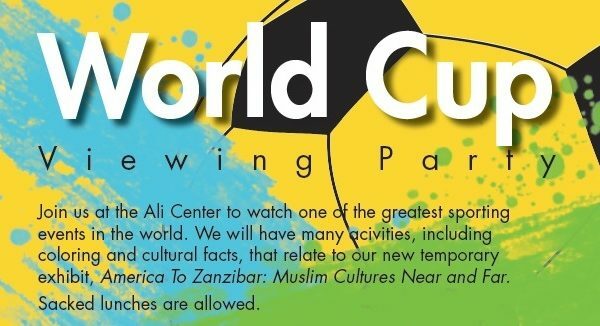 Egypt vs. Saudi Arabia at 10 a.m.
Iran vs. Portugal at 2 p.m.
We'll have activities for children and fun facts about the teams related to our new temporary exhibit, America to Zanzibar: Muslim Cultures Near and Far. Look for viewing parties for the quarterfinals on July 7th and the championship match on July 15th!